Look who's starting to bloom! Hydrangeas are known for their huge, fluffy clusters of blooms. These deciduous shrubs are perfect for those who need something to plant in a shady spot. There are many different types of Hydrangeas, some producing a creamy white flowers like the Oakleaf Hydrangea above.Some Hydrangeas, such as the Endless Summer, can have either pink or blue flowers depending on the acidity of your soil! Here in San Antonio, those types of Hydrangeas will generally be pink since our soil is so alkaline. If you want blue flowers, you can amend the pH of the soil happy?with an acidifier. This is also more easily done when grown in containers. 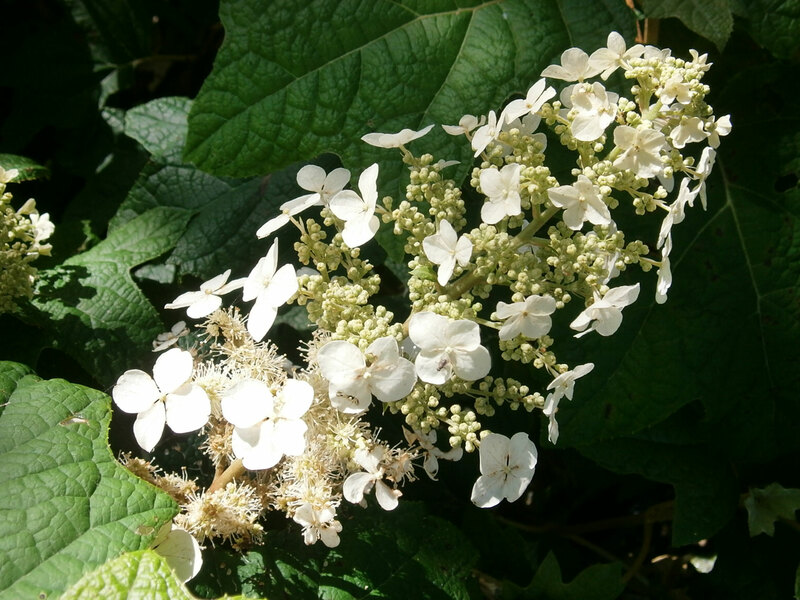 Aside from the gorgeous blooms they provide, Hydrangeas have large leaves and a rounded form. Most varieties that we carry will grow to about 4 or 6 feet tall and wide. How do you keep Hydrangeas happy? Shade is essential! Make sure they have some cover from the hot afternoon sun. They will let you know in a hurry if they are too hot. They also prefer to be a bit moist, but not soggy. 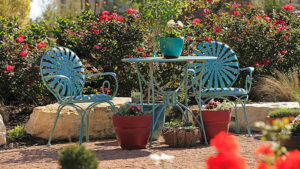 Acidify often for blue flowers if desired, and fertilize regularly.